I was given an opportunity to obtain a review copy of The Heart of the Story, by Randy Frazee. The title and description of the book interested me so I took advantage of the offer. I’m not an astrophysicist, but the last time I studied the solar system, the Earth was larger than our Moon. If that has changed, then I missed the press release. Perhaps the author lives in an area of the country where grapes are larger than basketballs? I’m glad, however, that I pressed on and continued reading. I found the book worth while and the author does a good job of summarizing the movement of God behind the stories in the Bible. Throughout the book, Mr. Frazee compares the lower story (what we see) with the upper story (the view from God’s perspective). 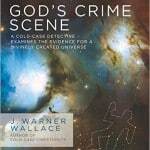 The author reinforces the idea that God is the mover behind all the activities that are recorded in Scripture. The book follows the order of the stories in the Bible so someone who is not familiar with the Bible can get a feel for the flow of Biblical history. This book would be especially helpful to a new believer or someone who is interested in obtaining an overview of the Bible. Mr. Frazee does an excellent job of summarizing some of the major stories / themes in Scripture and setting them in context. This would be an excellent resource for a discipleship class, the way Mr. Frazee presents the material stimulates thought and would be a good catalyst for discussion. An adult fellowship or small group Bible study would also benefit from working through this book. To work through the chapters in this book in parallel with the Scripture on which each chapter is based would be a profitable study. The publisher was kind enough to provide a copy of this book for me to give away. Please leave a comment below indicating why you would like to win the copy and I will select a winner at random. So whether it is a seemingly indestructible temple that falls or a seemingly perennial institution like Sears or a beautiful old church that goes away, we don’t have to have our confidence shaken. We are wilfully ignorant of God. We are ignorant because we choose to be. The coming of Jesus confronts us in our rebellion and forces us to make a choice. We can choose to remain as we are or engage in the process of learning to respond to God’s initiative.